iamthecaribou/thecaribouisme, 2014, caribou hair and the artist's hair on elk hide, 8" x 9". 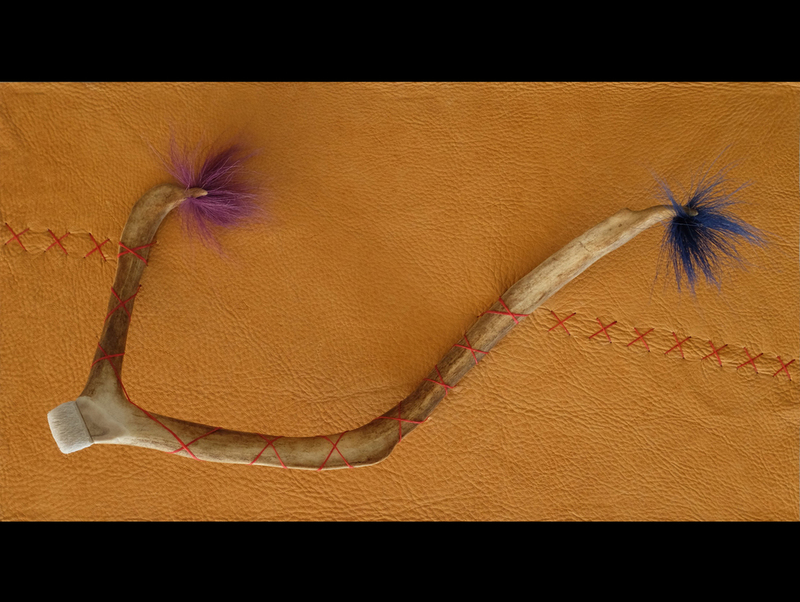 Billion Dollar Caribou, 2014, caribou hair on elk hide, 20" x 6". Traces, 2014, caribou antler, caribou hair, and sinew on elk hide, 11" x 20" x 5"
The Caribou's Range, 2014, glass beads and caribou hair on elk hide, 8.5" x 11". The Artist's Range, 2014, glass beads and caribou hair on elk hide, 8.5" x 11".